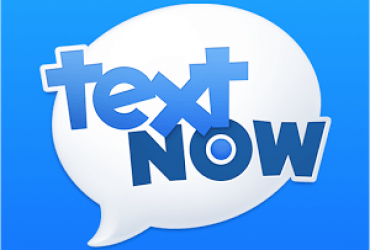 UPDATED: January 14, 2019 – If you’re 65 or over, it’s important to have cell phone service. 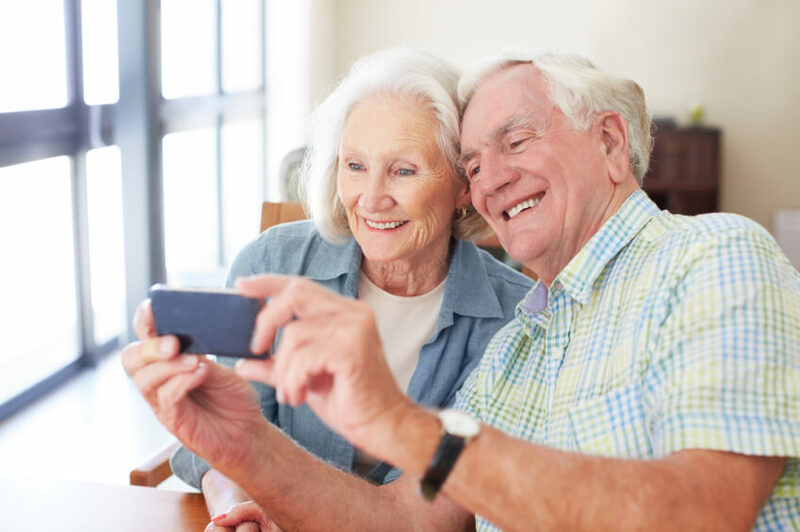 There are a variety of mobile services designed for seniors, whether you are a tech savvy user or someone that only needs one for emergencies. The options can vary depending on your usage. For example, if you only need a phone for emergencies, then a pay per minute will be more economical, and if you use your cell phone as much as a teenager, you’ll want a plan that includes more minutes and data. Jitterbug service plans start at $14.99 per month, and you can use up to 1,000 minutes of talk time per month. Jitterbug has no contracts, so there are no termination fees if you decide to leave. The minutes include roaming, long distance calls, and there is no time of the day use restrictions. Your minutes are carried over to the next month if you do not use them all. The Jitterbug phones cost $99 and are reported to be the easiest to use on the market today. AT&T has a 200-minute plan that you can use anytime of the day, 500 minutes for nights and weekends, and unlimited minutes to talk to other AT&T users for $29.99 per month. This plan has a 2-year commitment contract, and if you run over the minutes, it will cost 0.45 cents per minute. AT&T has a variety of different cell phones. Some will be free at the time of service activation and are included in the monthly fee, and others will cost at the time of activation. The Senior Value Plan runs $7 per month, and the phone is $20. There are no contracts or termination fees, and no bills. The Tracfone is a pre-paid plan and even if you run out of minutes, you can still make free 911 calls in case of an emergency. The phone is user-friendly, easy to read, and compatible with most hearing aids. Along with the cell phone minutes, you will receive a web browser, voicemail, a calendar, alarm clock, and text messaging. The Consumer Cellular plan is a pre-paid service, and currently, they are offering double the minutes for the number of minutes purchased. For example, 500 minutes for $20 or 1,000 minutes for $30. Members of AARP can also receive an additional discount. They have simple cell phones for the basic user or more technical phones for the tech savvy user. The Nationwide 65 plus plan is a $29.99 per month plan with 200 anytime minutes and 500 minutes for nights and weekends. This plan does have a commitment contract and minutes over will be at a fee. The plan comes with access to the internet, voicemail, and caller ID. Verizon offers a variety of phone types, from the most basic to the newest device. The cost of the phone will vary depending on your phone choice. There are free cell phone plans if you fall into the low-income category or are participating in a State assistance program. The free cell phone program is called the Lifeline program created by the FCC. There are several cell phone companies across the nation participating in this program. If you think you may be qualified for this program, be sure to ask and find out your eligibility. In today’s world, it is important to stay connected with a mobile phone. Whether you need it for social connections, a job, or just to keep in contact with friends and family. Cell phones are important in case you have an emergency, so choose a plan that makes the most sense for your planned use.